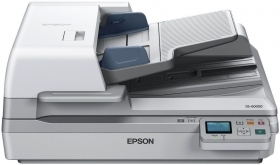 This A3 networked scanner addresses the needs of companies who require fast, reliable and versatile document capture conversion, for electronic document archiving and distribution. This scanner and its features can be shared between multiple users with the built-in Network Interface Panel. Combined with Document Capture Pro solutions, the Network Interface Panel allows users to benefit from Push Scan features and customise "scan to" job functions, such as "scan to email" or "scan to Microsoft SharePoint", among others. These features enable complicated tasks to be carried out effortlessly. Document Capture Pro Server addresses companies who are looking for advanced push scan functions and other Document Capture Pro features on their shared devices without the need to install software on individual computers.